Ahn Bo Hyun replaced Lee Kyu Hyun`s role in early stages of the casting process. The drama is based on a popular web novel about a woman and a man who both lead double lives called Noona Fan Dot Com; written by Kim Sung-yeon. At work, the woman is a competent art curator, but at home she’s an avid idol fangirl. The man is an arrogant director of an art gallery when offline. Online, he’s a warm and friendly fanboy, but this fanboy persona is fake. It’s a story about fangirling/fanboying, and how embarrassing regrets and past glory days led the characters to become who they are in the present. If Kim Jae-wook accepts, he will be playing the role of Ryan Gold – newly hired director of the art gallery. He’s a cynic with a prickly personality, and is aggrieved by the smallest mistakes. However, there’s something mysterious surrounding his character. Park Min-young, if she accepts, will be playing Sung Deok-mi. By day, she’s one of the gallery’s top curators. Outside of work, her life’s purpose is her idol celebrity love. Directing will be done by PD Hong Jong-chan whose past works include Dear My Friends, Most Beautiful Goodbye, and Life. He was also one of the directors for an old underrated drama, Tamra the Island. 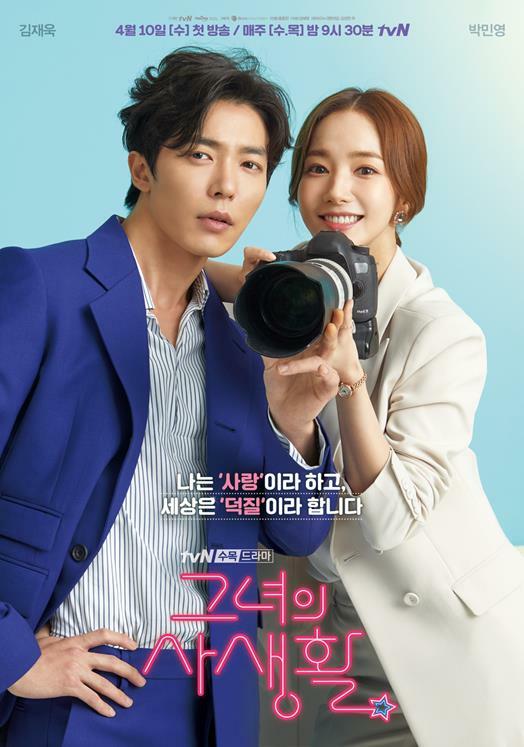 Park Min Young and Kim Jae Wook were cast in drama Her Private Life . YES!!! YES!! YES!! She is back and its Kim Jae Wook аs lead male!!!! Finally KJW as the lead in a rom-com! @RPM Where are you ? Yes !!! I share your excitement and more importantly a rom-com. .
Based on novel "Noona Paen Datkom” by Kim Sung-Yeon. Yay! I'm following this thread! Loving tVN dramas! Another romcom and I'm liking the plot. I'm expecting this will be good! I think many people wanted to see Kim Jae Wook as first lead. I see so many comments on this thread at this news. I did not know why they did not offer him the first lead role until today. He had the qualities for a first lead. I've waited for years for this news. Kim Jae Wook finally becomes the male lead. I don't want him to play as a third person anymore because he have that quality as a male lead. Hopefully the story won't disappointed since it's his first lead role. Kim Jae Wook... FINALLY in a romantic leading role. YES!